You'll be £5.20 closer to your next £10.00 credit when you purchase Burned at the Stake. What's this? In 1706 19-year-old Mary Channing was convicted of poisoning her husband and became the last woman to be burned at the stake in Dorset. Despite her impressive attempts to defend herself, the jury had taken only half an hour to find her guilty. Yet on pronouncement of the death sentence, Mary 'pleaded her belly' and thus postponed her execution until after she had given birth to her child in gaol. More than 300 years after her dramatic demise, Mary’s fate still holds a macabre fascination, as it did for Thomas Hardy, who recorded some of the grislier details of her execution in his notebooks and used her as the inspiration for his poem, 'The Mock Wife'. Yet while Mary Channing has been granted a kind of grim celebrity, as well as an established place in the annals of female murderers, a measure of compelling sympathy for her case is nonetheless another lasting aspect of her legacy. 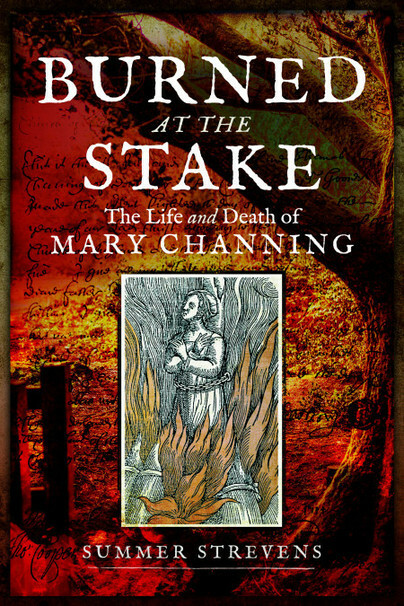 Summer Strevens, in Burned at the Stake, tells the story of Mary Channing, and tells it very well. Born in London, Summer Strevens now lives and writes in Hampshire. Capitalising on a life-long passion for historical research, Summer has embraced writing as a full time occupation. As well as penning feature articles of regional historical interest, her published books include Haunted Yorkshire Dales, York Murder & Crime, The Birth of the Chocolate City: Life in Georgian York, The A-Z of Curiosities of the Yorkshire Dales, Fashionably Fatal and Before They Were Fiction.